Holiday villas and apartments in Torremolinos from only 200€ a week. Book your next Torremolinos holiday apartment-flat Direct, you could save up to 40%! Book affordable, luxurious villas and holiday apartments in Torremolinos with us. Rent a holiday home for less than a hotel room. Book & pay easily online! 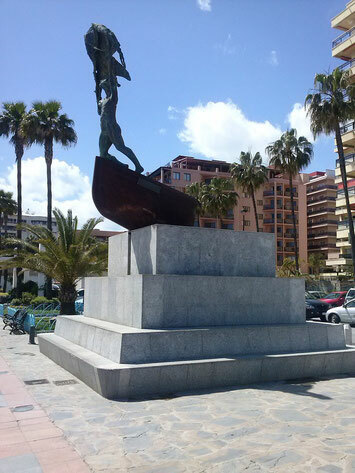 Torremolinos was a small fishing town that underwent a large amount of tourist development in the 60s before becoming one of the most important holiday destinations on the Costa del Sol and in the whole of Spain. The beaches of Torremolinos are notable for their fantastic conditions throughout the year. They are well-maintained and are equipped with Red Cross lifeguard posts, watch towers and life-saving equipment. The Torremolinos beaches are also known for their cleanliness and their length. The five main beaches are Los Alamos, Playamar, El Bajondillo, La Carihuela and El Saltillo. This Torremolinos beach is located between El Bajondillo and Los Alamos and has a length of 1000 metres and an average width of 50 metres. Again, this is an urban beach comprised mainly of dark sand. This beach is also known as El Retiro.